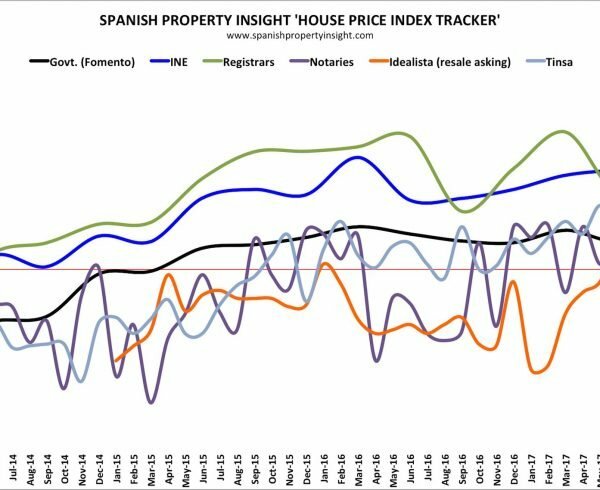 The SPI House Price Index Tracker plots the progress of the seven most-watched house price indices in Spain, and puts them all on one page. 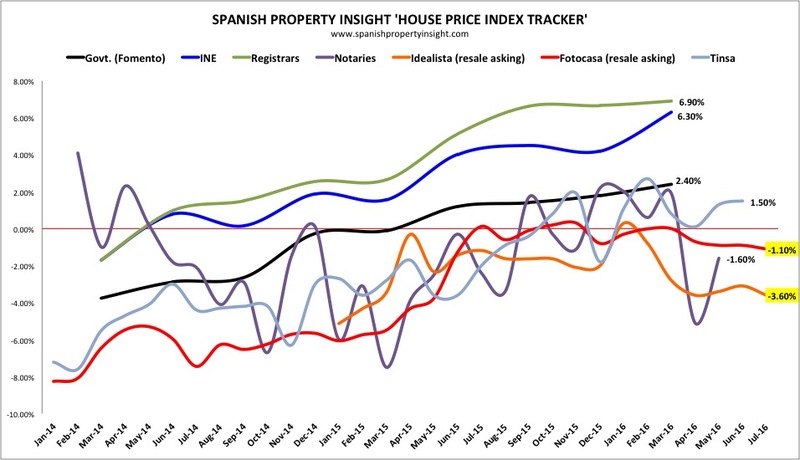 The latest Spanish house price indices published recently are highlighted in the chart above. 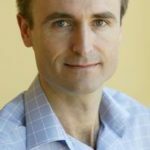 In reality these national figures are not much use to buyers and sellers who want to know what is going on in their local market segments, which can vary substantially from the national picture. They do, however, get a lot of media attention in Spain, and might influence expectations. 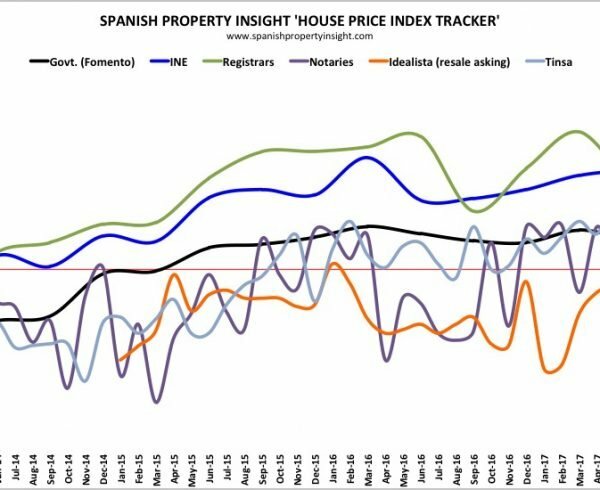 The latest figures show average national resale asking prices on the slide, a trend we have seen most of this year. 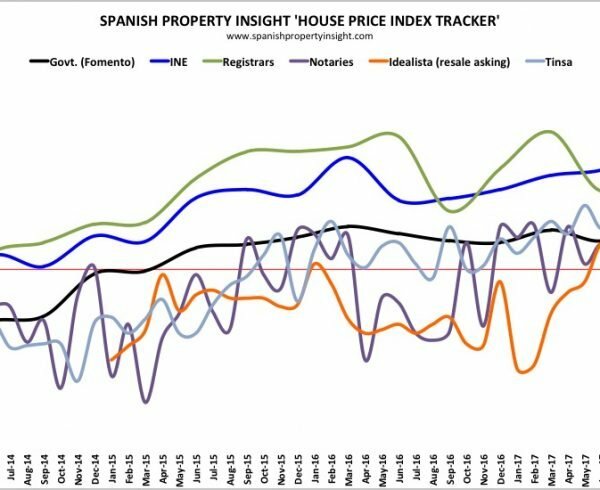 That suggests that many vendors in Spain still lack pricing power due to the quality and volume of resale homes on the market, and have to reduce their expectations in search of a buyer.